The Fundraising Team was created in 2008 by a small group of parents who saw a need for raising extra funds to give every child in the school additional experiences and treats that the government grants cannot stretch to. Since there are no teachers on the team and we are just a team of parents volunteering to raise funds, we are not a Parent/Teacher Association (PTA) but instead call ourselves "The Fundraising Team"! The Team has gone from strength to strength and in June 2015 became a Registered Charity under registration number 1161820. (By clicking on each individual photo below, you can expand it for a clearer view). FRT meeting - Wednesday 28th February at 8pm the Haven Centre. All welcome. Where has the money been spent recently? All our fundraising ultimately enhances our children's school in so many ways. In February 2018 and March 2017, The Fundraising Team funded the Cinema Nights at school showing "The Emoji Movie" and "Trolls" respectively to all year groups. The children were able to bring a pillow into school that evening wearing their onesies/pyjamas and enjoyed drinks & popcorn provided by The Fundraising Team. In April 2017, The Fundraising Team fully funded the £4,239 new entry sign-in system to improve safeguarding of children and adults within school. This provides the school with an online accurate register of everybody who is on on site in the event of a fire or an emergency. The Fundraising Team shared equally in the cost of the HD digital projector with electronic screen, Blu-ray player and full sound system in the school hall. The school could not budget for this equipment alone and it has been used extensively since its installation; it has also enabled The Fundraising Team to hold three “Cinema Nights” for the children to date. Summarily, the wide variety of things funded by The Fundraising Team monies can range from just £20 for a new toy to thousands of pounds for the conservation area, the climbing wall or a play area face-lift! The Government does not provide the money to cover the cost of any of these additional items including books and cameras. With the help & support of YOU the parents, it is vital that the Fundraising Team continue to raise funds year-round to enrich the school curriculum and lives of our children. We are a group of parents who volunteer to organise and run the Summer and Christmas Fairs, the Mother's Day Shop and Christmas "Secret Santa" Shop, the Secondhand Uniform Shop, Quiz Nights, School Raffles, Refreshments/Games at Sports Day, Cinema Night and also organise the Circus, Fashion Shows, School Discos and anything else that we can think of to raise funds! FRT Non-uniform Days : The children have several non-uniform days a year including one or two held specifically by The Fundraising Team in the run up to a large event when we ask the children to pay a "fine" of chocolate, bottles or sweets which are then used as prizes. Mr Burcombe getting a soaking! Despite the number of hours of voluntary time and the hard work put in by the Fundraising Team and many of their spouses/partners, the actual funds raised could not be made without YOUR support for which we are continually grateful whether it be bottles/sweets/chocolates for tombolas, cakes for cake stalls, uniform for the shop, envelopes for the money tree game or just your presence at fairs etc. or Jane Summers (Secretary, Beth (Year 6)) on 07986 575883. The Secondhand Uniform Shop is a stock of secondhand uniform which has been donated by parents for resale. All proceeds go to The Fundraising Team. It is run by one of the Team so if you wish to purchase anything, please contact the School Office who will put you in touch with the relevant team member. If you have finished with any school uniform, please donate it in clean, sellable condition for onward sale. 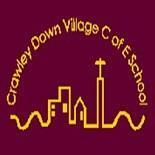 Crawley Down Village C of E School is registered as a cause with www.easyfundraising.org.uk and www.easysearch.org.uk and has so far raised OVER £1,000 just from parents shopping online. This is a FREE service where you can shop with your favourite online stores whilst raising funds for the School. You still shop online directly with each retailer as you would normally but, by using the links through this site first, each purchase you make generates a cash back donation to the School. 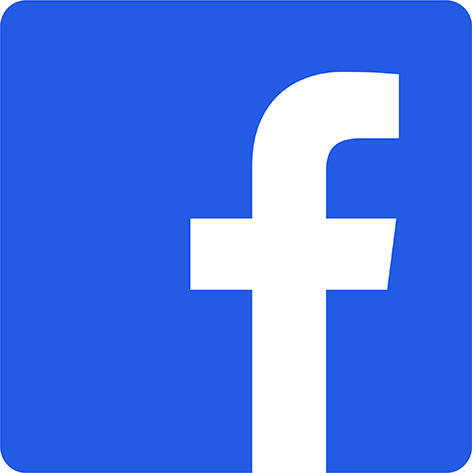 If you are a Facebook user, why not join the "Forum for Crawley Down Parents" page? It was set up to share and report information from parents to parents regarding general school matters and it also includes updates from The Fundraising Team. as much or as little as you wish. via Parentmail and on Facebook !